This is a round Tiolene Pure Oil porcelain sign. This particular Tiolene Pure Oil sign is blue and white. 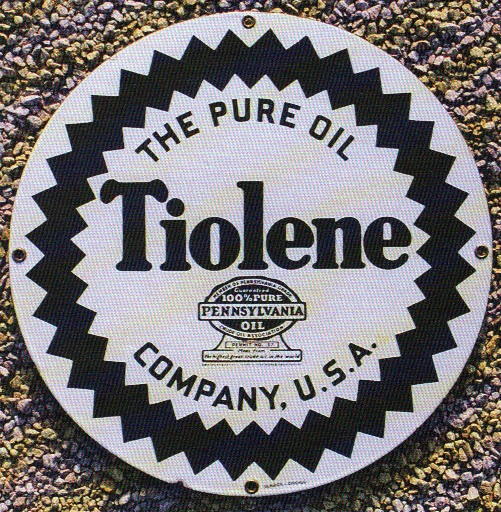 It reads, “Tiolene, The Pure Oil Company, U.S.A., Aviation Quality” and features a blue decorative border and a small airplane at the bottom of the sign.